Beware! Finarix is an offshore broker! Your investment may be at risk. Finarix is a unregulated, offshore broker based on the Marshall Islands, but operated from Bulgaria. The broker claims to be offering the classic MetaTrader4 platform, but we were unable to find where to download the platform on their website. Instead there is a web based platform, offered with a leverage of 100:1 and several account types. 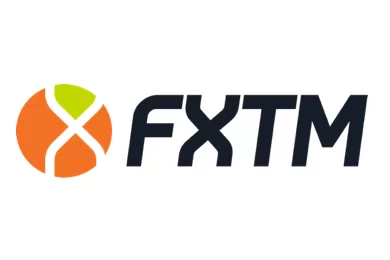 Trading instruments include 29 forex pairs with several exotic currencies like South African Rand, Turkish Lira, Russian Ruble and Norwegian Krone, as well as a number of crypto CFDs on coins like Bitcoin, Dash, Ethereum, Ethereum Classic, Golem, Litecoin, Monero, Ripple and Zcash. Other CFDs include contracts on oil, natural gas, silver, gold, coffee, copper, sugar and wheat. Spreads are advertised to start at 1,8 pips, but we can not comment on that as we were not able to open a demo account. Still, trading conditions put aside, we have some serious concerns about the regulatory status of the broker, so if you are thinking about trading with them be sure to read this review first. Finarix is owned by Zolarex Ltd – a Marshall Islands registered company, but all payments are processed by Zola Ltd, which is based in Sofia Bulgaria. Besides, the same Bulgarian company operated a binary options broker – BinaryOnline, which became notorious after many complaints about people being scammed. 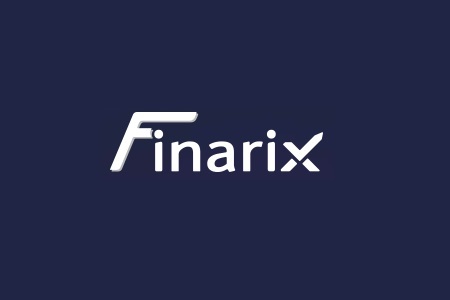 In any case Finarix does not have a license to offer financial services and is not authorized to operate on regulated markets like the European Union, the USA, Japan or Australia. Have in mind that trusting your funds with a unregulated broker has always been extremely risky as most such entities are involved in scam. Trading with a properly regulated broker on the other hand is safe, because the regulatory regimes of official financial authorities such as the Australian Securities and Investments Commission (ASIC), the Financial Conduct Authority (FCA) in the UK or the Cyprus Securities and Exchange Commission (CySEC) impose strict rules and mechanism of supervision. Regulated brokers for example are required to provide traders with a negative balance protection, to keep their money in a segregated account, to file regular reports, to allow external audits, to maintain a certain minimum operational capital and with some regulators even to insure traders money. Thus for example, if you trade with a FCA broker you will not have to worry about the first 50 000 GBP in you account, even if your broker files for bankruptcy. Similarly the insurance with a CySEC broker covers up to 20 000 EUR of your capital. The options to pay at Finarix range form a bank wire transfer to credit cards like VISA and MasterCard and iDeal – an e-wallet used predominantly in the Netherlands. We do not see the option to pay with Skrill and that is significant, because recently the payment company adopted some new anti scam rules, according which all brokers using Skrill are required to prove they hold a legit license. As we already noted Finarix does not have a license at all. 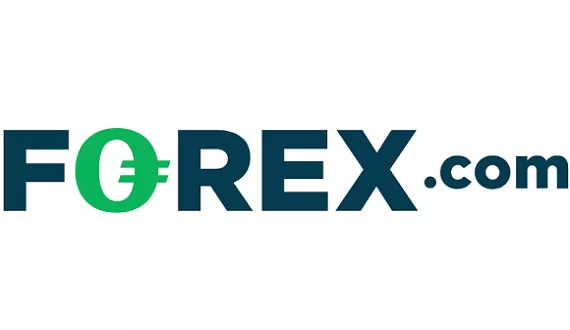 And while the minimum deposit requirement is 250 USD, which is more or less in line with what most brokers would ask you for a standard account, Finarix has some rather unusual withdraw conditions and fees, which you should be aware of. For example there is a withdraw fee and processing fee, as well as a 10% withdraw tariff, which is charged on the withdraw amount requested in case you have not traded your deposit 200 times. That, we should note, is highly unusual. And also, if you accept a trading bonus, which by the way is offered with all account types, you will not be able to withdraw until you trade your bonus at least 90 times. Besides, in case your trading account is “connected to third party algorithmic trading providers” and you have accepted a bonus, you will have to trade 1000 lots or 100 million USD for every 3000 USD bonus, before you will be allowed to request a withdraw. Needless to say, that is almost an impossible trade volume requirement. And finally, if your account is under investigation – an investigation can be opened under any pretext and with the brokers sole discretion – your funds will be blocked and you will be allowed to request to withdraw just 10% of your withdrawable capital per month. Certainly there are lots of scam scenarios going on around and yet here is what usually happens to careless investors, who do not check the background of the broker they deposit their money with. You may happen to stumble upon one of the so called robo – scam websites like Crypto Revolt and Bitcoin Evolution, where you will be presented with “a once – of – a – life – time” offer for fast, easy and “completely risk free” returns in exchange of a modest investment. But actually all you will be asked in the beginning will be your e-mail and address. So if you do fill the registration form, the robo scam website will transfer you to the web page of a unregulated, offshore, scam broke, where you will be asked for some money – probably 250 USD as an initial deposit. After you open your trading account you will surely get lots of trading signals and probably even a call from a “market adviser”. In any case your trades will go pretty well and soon the money in your account will nearly double. That, however, will be just a part of the scam – the idea is, that if you believe you are making money with such a pace, you will surely be convinced to invest a larger amount. That is when you will receive another call as well. This time it will be a “senior account manager”, who will basically explain, that if you want to make some real cash, you will definitely have to invest more – at least 10 000 USD for a start. And besides, most people do not realize they have been scammed until the very moment they request to withdraw some of their funds. Than it will suddenly turn out this is not possible, because of some minimum trade volume requirement, linked to the welcoming bonus you have so gladly accepted in the first place. The pretext to cancel your withdraw request might be whatever, but in the end it will all come to the same – you will not be allowed to withdraw a single dime. Do not waste a minute but immediately file for a charge back with your credit card company, as this is the only viable way to get your deposit back. Besides, the good news here is that recently both VISA and MasterCard extended the period in which you will be allowed to file for a charge back to 540 days – precisely to reduce the risk of online scam. And if by any chance you have given away to the scammers your personal online banking details like your credit card number or online banking password, be sure to immediately change the password and block your credit card. And one final note – do not accept the offers of the so called recovery agencies. They will not recover you any money, but will simply collect an upfront payment and basically that will be the end of the story. How can I recover my money from finarix? Deposit was made October 2018. How can I recover my deposit made in July 2018. Originally made with Binaryonline and now passed on to Finarix?